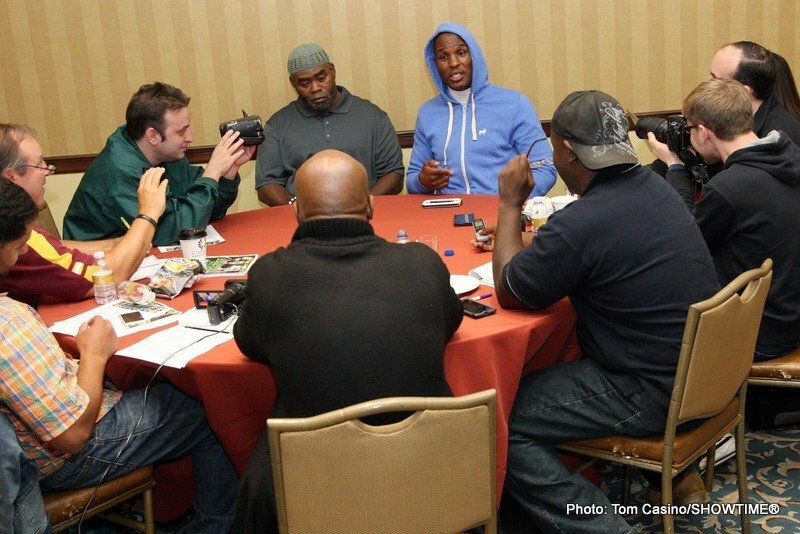 The six fighters that will be featured on the SHOWTIME CHAMPIONSHIP BOXING® telecast this Saturday night gathered with media members at Caesars Atlantic City to discuss their respective matchups. 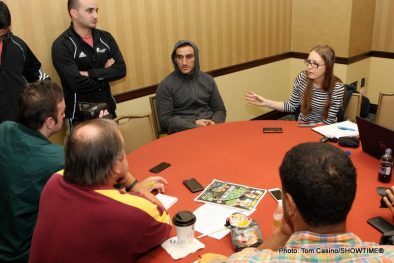 Bernard “The Alien” Hopkins, Karo Murat, Peter “Kid Chocolate” Quillin, “King” Gabriel Rosado, Deontay “Bronze Bomber” Wilder and Nicolai Firtha answered questions candidly about the in-ring challenges taking place at Boardwalk Hall on Saturday night. “I know that Firtha doesn’t move his head and that’s a dangerous thing to do, especially in the heavyweight division and with a puncher like me. To his credit, when he comes he comes to fight. “I can take this opportunity as a blessing or be scared and be a participant like my opponents have done. But I fear no man. I only fear God. “If he goes hard, I will go harder. “Coming to Atlantic City brings out a lot of emotions in me. To be back here, healthy with a legacy and doing historic things is a blessing. “I am motivated by being in a place where it all began. There is extra energy for me to give serious beat downs here. “Karo Murat is hoping, like others before him, that he is lucky enough that I got old in the gym. “As far as I’m concerned, old to me is not old to the average person. What is old? “I’m getting the interest on the investment I have made in my personal life. “I’m not just fighting Karo Murat. I’m fighting politics. I made a 360-degree turn. I’m back in Atlantic City. I’ve been here a few times. You hear Hopkins and Mayweather. You hear Hopkins fighting other light heavyweights. People want to put a time frame on what you’re supposed to be doing. 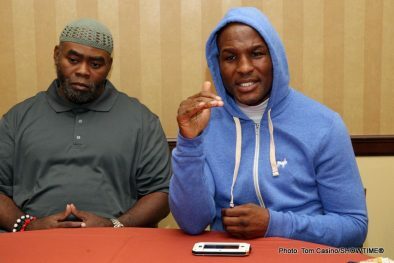 “I remember everything about the Clinton Mitchell fight [Hopkins’ professional debut]…I remember I lost. “How many urban stories have ended up like mine? How I have been disciplined in the gym and in business. “Some people might get tired of hearing me talk, but not the young ones, the young boxers. I can tell they don’t get tired of hearing me talk to them. “I had a lot of practice in Germany and in many of my other fights. This is a fight against a legend, but I can handle it. “I think it is a sign from God that I am here to end Bernard’s career. He is an old man and needs to stop now. “I know that I don’t have to knock Bernard out in order to get a fair decision in America. “I don’t have a strategy. I will see during the fight what I can do to beat Hopkins. “Sometimes you work so hard you surprise yourself, but it’s not for you to be over confident. You have to continue to work hard. “It’s important not to look ahead and to stay present and focus on the now. “I look at myself like a more polished champion because I wouldn’t be here if God didn’t want me to be. “I learned early in my career that every fighter has small window to make money and you need to make sure to save your money, pay your taxes and set yourself up for the future. 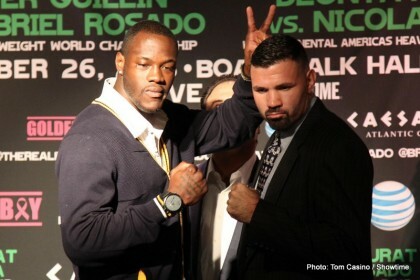 “Rosado is still trying to find himself out. He lost already; he took some bumps in roads with losses. “Nothing that Rosado does in the ring is going to be good enough. “When I get in the ring my trunks are my office suit. Outside of the ring I have the business suit on. “I don’t know how to speak about any other story besides establishing myself and explain myself through these [holding fists up]. “I will fight in my back yard or in anyone’s back yard. I am comfortable fighting anywhere. “I know I will have a lot of opportunities to take advantage of Quillin in the ring because not only did I study him in his past fight but I also studied my past fight and looked for ways to improve my fight. “Without a doubt I have fought the bigger names like Soto-Karass and Kassim Ouma. I have the better names on my record. “I feel really great about this camp and sparred with three guys that weighed 190 lbs. My strength and conditioning coach [Jason Sargus] are working together again and I feel really strong and prepared. “Kid Chocolate has been on my mind for a while. I have never called him out because I wanted it to play out naturally and get the fight. “Before you compete against the best, you don’t know if you can beat them. You don’t know until you actually fight them. “I want my abilities, tools and skills to speak for me. Not only can I fight the best, but I can beat the best. “I don’t take his [Wilder’s] record lightly at all. He has done what he has to do in serious fashion. 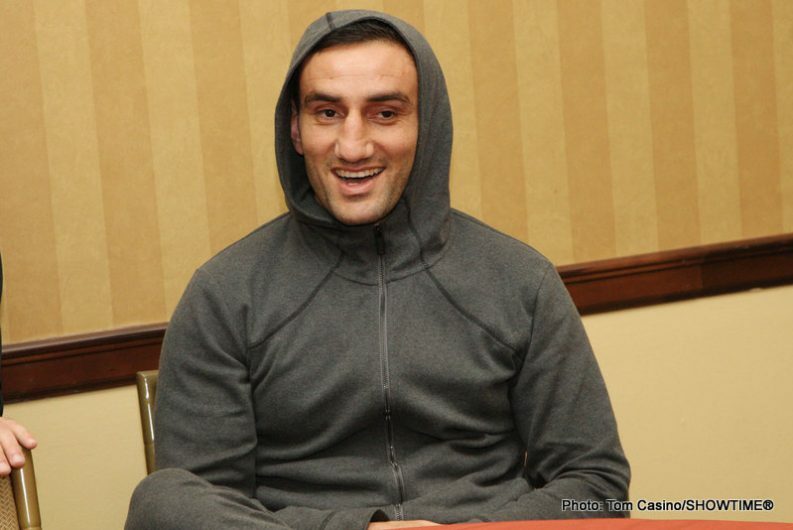 “I will have a very serious problem dealing with Deontay’s power if I stand there in his way to be hit.